Adding Google Analytics tracking code to a site is quick in most cases, but I find that many businesses leave it there and don't add more customisation to use some of the more advanced Google Analytics features. These features can give great advantages in understanding how users interact with your site, to support ideas for conversion optimisation. You may not consider these features advanced, but they are missing in many cases, so are advanced in this sense! 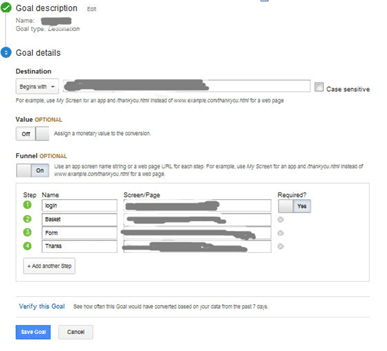 Or, you can use Google Tag Manager (auto-event tracking). You can the details on how to setup event tracking in my previous post. Once we start populating the source code of our site with event tracking codes, we will be able to see actual results, for more decisions based on actual data. Once events are setup you can these monitor them on your dashboard as goals. You can set up goals based on any of your Events, these are known as Event-goals - Dave Chaffey introduced them in this post covering 17 options for Event goals. In this way, you can setup funnels and monitor in details the checkout experience of your site. In this way you will be able to see if your site is user-friendly, monitor where your users bale out of a process (essential if the checkout is implemented as a single page where the URL doesn't change). Once you know in which part of the checkout process your users drop off the most, then it will be easier for you to run A/B tests in order to decrease the drop out rates. Initially, you need to set up the goal (e.g. based on the Destination URL) and arrange the funnel steps. 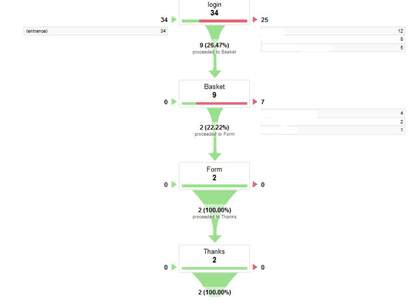 Having setup the goals and the funnel steps will allow you through Funnel Visualisation to have detailed information for your customer’s journey within your website. In this way, you can take better-informed decisions (e.g. Content Experiments in order to reduce the number of drop-offs). The implementation of event tracking codes should be developed in a way that will serve a long-term purpose. 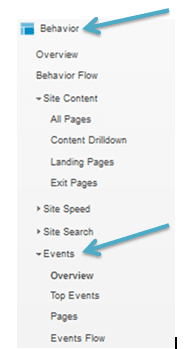 Implementing event goals for all these user actions/events can be extremely valuable for understanding and improving our micro-conversions using Google's Content Experiments. Let's take the example of increasing subscribers to a newsletter. The colour or size of the button. The verbal part of your CTA (call-to-action). Text to persuade a subscriber to sign up. Bonus SEO Tip: Once you start working with Content Experiments (and according to Google) the optimal practice when we create variation pages is not to forget to add the rel="canonical" attribute to the variation pages (as you don’t want these variation pages to be indexed). This attribute should be implemented in all variation pages telling to search engine bots that the only page that should be indexed is the original page. To summarise these techniques, we can see that the 3 actions are interrelated and that, by combining all 3, you have a powerful tool in your conversion optimisation arsenal, that will make your supervisor and clients happier. 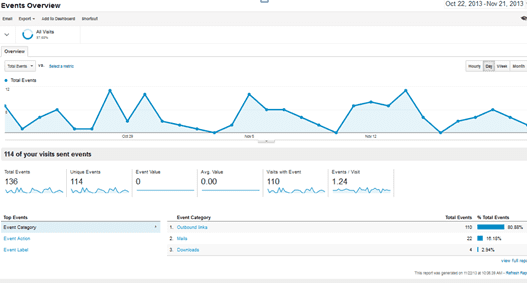 If you work as a consultant or for an agency, what would you say are the Google Analytics features that you consider essential for your clients?